Suddenly, it’s November and the winter gift-giving holidays are coming up fast. If you’re like me and are NOT one of those super-organized people who buy gifts throughout the year and stash them away, you might be gearing up for a shopping frenzy. But how to keep from busting your budget? Here are 3 steps to staying on track without losing your holiday spirit. Include everyone. Even if it’s a “host” gift for a party or token item, put every person you want to give to on your list. Remember what you bought. Write down anything you’ve already purchased next to the person it’s for. Brainstorm before you shop. Get your ideas in order so you’ll have a better idea of what you’re looking for (and where to find it). Get ready to budget. Include item cost, or spending limit for each person (You’ll need this for Step 2 below). Once you have your list, you can move on to the next step, figuring out what you can really afford and making adjustments. Add it up. Check those spending limits and gift prices you included on your list and see how close you are to what you can afford. Adjust your list. Take people off, lower your spending limits, and/or change your gift ideas to better match your budget. Bring your list. On your phone, on paper, whatever works best for you, make sure you have your list on hand when you’re shopping. Keep track. Update your list as you go with what you bought and how much you spent. If you went over budget for one person, consider adjusting somewhere else. Keeping track as you go is the key here. You’re less likely to forget someone – or accidentally double up – and more likely to stick to your budget if you have an updated list with you. And before you put it all on a credit card to pay off later, the folks at myFICO (the company behind your credit score) want you to remember you’ll be paying interest on those purchases if you don’t pay off your whole balance each month, and you could also be lowering your credit score. The Bankers Trust Education Center has a few more holiday budget pitfalls to avoid so you won’t be dreading your January bank statement, or digging out of debt for months to come. Draw names. In person or virtually, randomly assign names so each person in the group/family is giving and receiving just one gift. Set a price limit. Is $5 right for your family? $50? Be sure to consider whether or not everyone is in the same financial shape and try to set a budget that won’t cause stress for those who might have lower incomes or higher bills. Have a “white elephant” exchange. Each person brings one wrapped gift and participants take turns picking one from the pile. Choose gag gifts, or have everyone bring something similar (scented candles/restaurant gift cards/vintage t-shirts/etc.). Trade or “steal” opened gifts. Check out https://www.whiteelephantrules.com for more ideas. 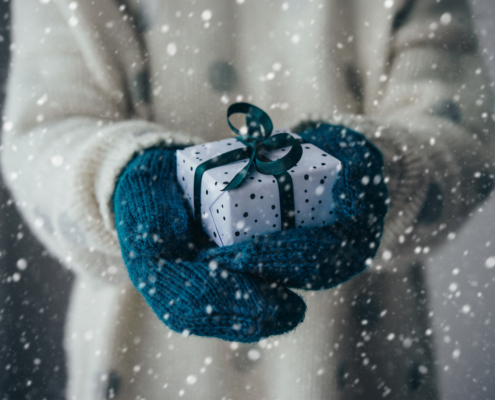 If you make your list(s) and check it every time, pay attention to your budget, and find creative ways to make gift giving both affordable and fun, you’ll be on your way to a lower stress holiday season and a more relaxing New Year. Would you like to receive more information like this when it comes out? Sign up for the FEEA newsletter using the box in the lower right hand corner of this page. Would you like to reprint this piece in your agency human resource, federal employee association, or union local newsletter? You can do so at no cost by contacting admin@feea.org with your request.